See your new home today! 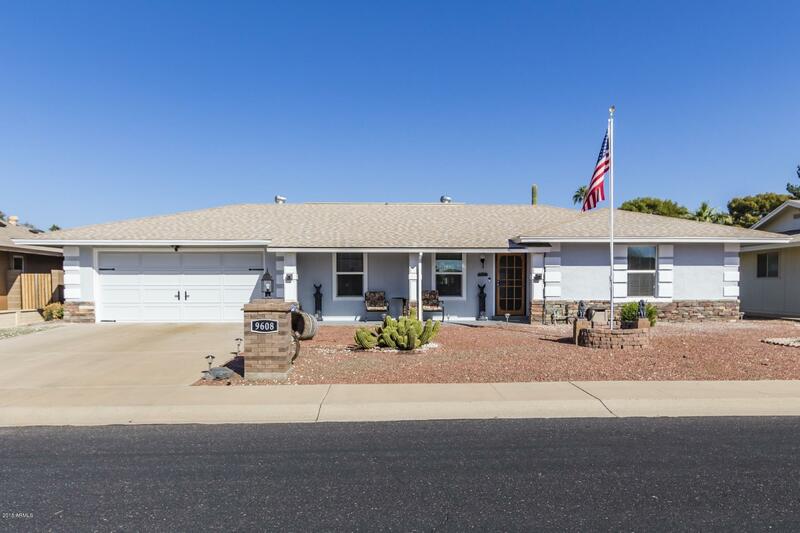 Located in the Sun City Adult Community, not far from the 101 and I-17 freeways, Palmbrook Country Club, Sun City Lakes West Golf Course and several other amenities. Beautifully updated with laminate flooring, wainscoting paneling, crown molding, custom color palette inside and out, and ample natural lighting. The galley style kitchen has been updated with granite countertops, light gray cabinetry, and stylish tile backsplash. The master suite is includes custom built in closet shelving, updated vanity and a wonderful walk in shower that includes many custom touches. The outdoor space has a covered patio, mature trees and gravel landscaping for minimal upkeep. Schedule showing today! SELLER IS VERY MOTIVATED. © 2019 Arizona Regional Multiple Listing Service, Inc. All rights reserved. All information should be verified by the recipient and none is guaranteed as accurate by ARMLS. Information deemed to be reliable but not guaranteed. Real estate listings held by brokerage firms other than Realty One Group are marked with the ARMLS logo and detailed information about them includes the name of the listing brokers. Listing broker has attempted to offer accurate data, but buyers are advised to confirm all items. Only IDX residential listings are displayed on this site. The information being provided is for consumers' personal, non-commercial use and may not be used for any purpose other than to identify perspective properties consumers may be interested in. This site will be monitored for 'scraping' and any use of search facilities of data on the site other than by potential buyers/sellers is prohibited. Information last updated on 2019-04-18.